Includes everything you need to make Mozzarella, Ricotta, Queso Blanco, Paneer, and Chevre (goat cheese). Easy-to-follow instructions and materials. Just add pasteurized milk, eat cheese in about one hour. Dimensions (in packaging): 9" x 6" x 5"
The gift recipient has really enjoyed experimenting with this kit. I am a big fan of Grommet! Do wish that I had joined Perks months ago, I have purched quite a few things receintly! Keep up the great work! Cheese making boxes weres were straight forward & fun to use! They cheesecraft kits were a big hit! This was a gift that was very popular with my “foodie” recipients. Gave as a gift to my sister. She loved it! When Claudia Lucero set out to try her hand at cheesemaking, she was surprised at how difficult it was to find supplies and overwhelmed by some of the special equipment that some recipes required. After all, cheesemaking has been going on for centuries. Should it really be this complicated to try in a modern home? None of us has calibrated presses, humidity gauges, and acidity testers in our home kitchens. 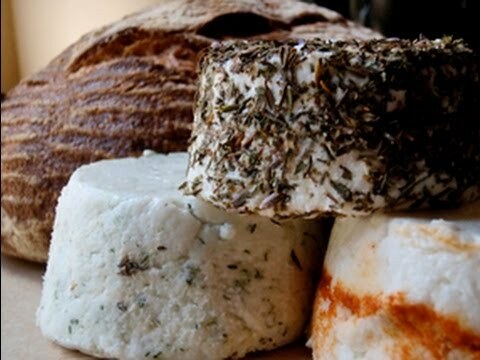 After lots of research and perseverance, Claudia refined her own techniques for making fresh cheeses that don’t require aging and can be made at home with little or no special equipment. Now she’s sharing her experience with fellow aspiring cheesemakers. 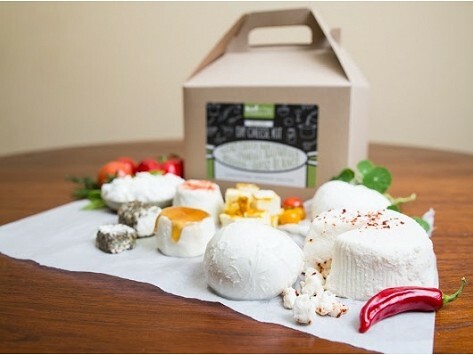 With an Urban Cheesecraft DIY Cheese Kit, all you need is a gallon of pasteurized milk (not ultra-pasteurized). The kits include the rest of the supplies such as cheesecloth, a dairy thermometer, vegetarian rennet, citric acid, and cheese salt. (Supplies vary depending on the kit you choose.) Just follow the instructions, and in about an hour, you’ll have fresh mozzarella, ricotta, queso blanco, paneer, or goat cheese. Once you get the hang of it, you can have fun experimenting with different spices, shapes, and recipes. Your taste buds will love the effort.